Brick Town Talk: Fighting the Good Fight - LEGO Town, Architecture, Building Tips, Inspiration Ideas, and more! The Netherlands - (BTT) It seems like everyone these days is part of some group or movement out to change the world - whether or not they truly are is a matter best left to other sites. 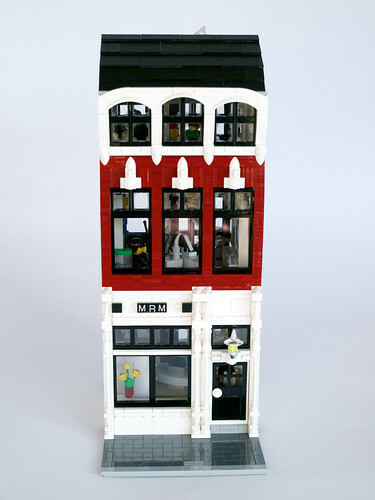 In order to be truly organized, though, you need a proper headquarters, and thankfully the Minifig Rights Movement has a real beaut. Especially nice is the large spiral staircase enveloped by a three-story bay window on the rear facade - a space as inspirational as their cause.